Recently I got brand new HTC Hero – great android based phone. Since my previous phone (Nokia N73) has been working with Mac without any problem I was very disappointed to figure out that I have to deal with Windows for syncing my phone with computer and firmware upgrades. After I upgraded it to latest official 2.73.405.4 ROM, I used Google Contacts/Calendar apps to sync my previous Nokia 73 stuff with Google and Hero, so having laptop<-->mobile connection to Internet (tethering) really sounded like something possible to achieve. A friend of mine with HTC Magic told me about way to connect to Internet with Wifi Tether application, which works on root-ed devices only. So after I passed trough complete rooting procedure explained here and here, I gained root access but still wasn’t able to make Wifi Tether work with Mac. Hero was visible as another AP, and even thought Mac was actually able to connect to it, I never got “outside” access to the Internet and eventually gave up. I found some threads that modaco custom ROM might be solution but figured that for newbie in android world like me, chances to brick brand new device while doing unsupported ROM upgrade are not so low so eventually I gave up. Unlike for wifi tethering, USB tether for Hero and Windows comes “Out of the Box” (all you have to do is to turn on mobile sharing) but unfortunately it doesn’t work with a Mac. 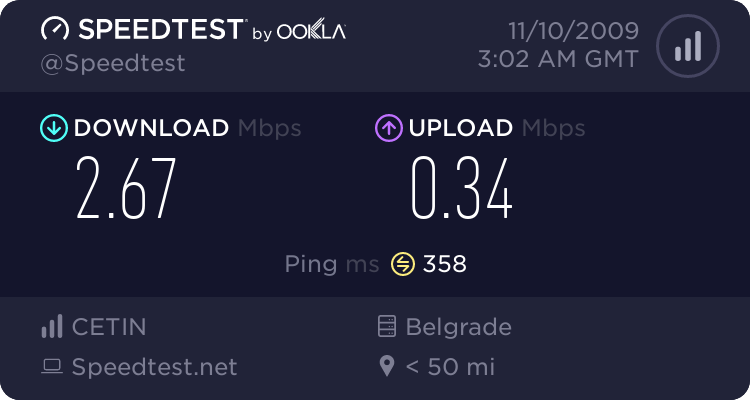 When you connect Hero to Mac, instead of new network device Mac see it as modem, but if you try to dial (like with *99#) you obviously get an error. After I spent several hours reading endless discussions on various forums, today I finally managed to connect my MacBook Pro on the Internet with my HTC Hero mobile Internet (EDGE/GPRS/3G/HSDPA) connection. Before I delve into instructions, please bear in mind that although this tutorial is based on HTC Hero and Mac running on latest (10.6.1) Snow Leopard, as far as I can tell it should be working with any other Android device or older version of Mac. I assume that you have MacPorts installed and that you are able to connect to Internet with your Mobile Phone. You are going to install azilink on your phone. Since all tether applications are removed from Android Market, you have to download it directly from site. But before you do that, you have to make sure that installing applications from unknown sources is allowed. So Press Home, then Menu->Settings->Applications and make sure that “Unknown Sources” is checked. Also in Development menu make sure that “USB Debugging” is checked. Now on your phone open browser and go to http://azilink.googlecode.com/files/azilink-2.0.2.apk , download file and follow install instructions. Once azilink application is installed start it and make sure that “Service Active” option is checked. Download and install tuntap for Mac OS X (http://tuntaposx.sourceforge.net/) on the Mac and restart your mac. Now you should be ready to call android tools (like we are going to do later) without specifying full system path. Tue Nov 10 03:33:53 2009 IMPORTANT: OpenVPN's default port number is now 1194, based on an official port number assignment by IANA. OpenVPN 2.0-beta16 and earlier used 5000 as the default port. If you get some errors make sure that you’ve passed correctly trough all needed steps. 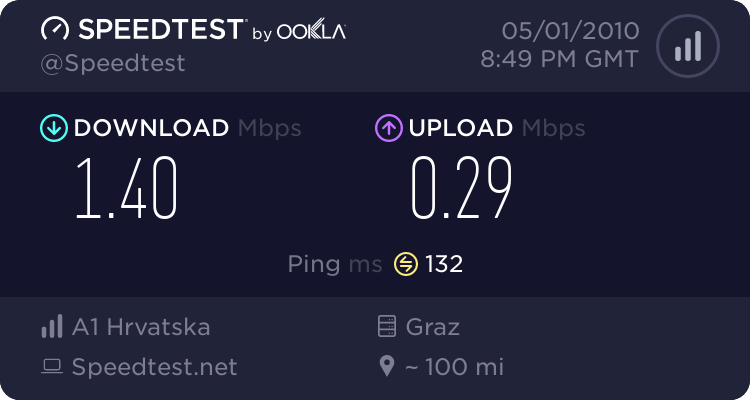 If no errors found, it is good time to test your new internet connection. You can do so by trying to ping some site or simple opening browser and visiting some Web Site. It should be working just fine! Hey thanks for this wonderful post. I have been considering the HTC Hero but have been significantly concerned about compatibility with a Mac – especially since I was recently shocked to find that even an iPhone doesn’t sync that well with a Mac – To-Do lists do not sync, Sync over bluetooth not possible, Internet Tethering is a bit of a pain, etc. I was using a Sony Ericsson P1i earlier and while I was able to sync nicely over BT, the field mapping was a bit off. So I want to find out overall – how is the HTC Hero esp regarding syncing contacts, calendar, Notes and To-Do lists with a mac? Can this be done over Bluetooth? The internet tethering sounds really complicated. HTC Hero as any other android phone can be synced with google services, and that support is built in and works out of the box. You can sync contacts with Google Contatcs, mails with google mail and Calendar with Google Calendar that should be it with apps that comes with phone. Unless you root device Bluetooth cannot be used for anything else except for connecting with handsfree devices, so as you can see “out of box” connectivity really lacks on it. For example with my previous phone (Nokia N73) I was able to do everything, bluetooth transfer, tethering, syncing contacts with iSync … anything. On hero and other android phones, you have to root device and install proper application so you can do bluetooth transfer. Hey, thanks for the wonderful walkthrough! I had to do some extra Googling though, because “sudo port install openvpn2” didn’t work (dependency errors) until I found out that we needed to install Xcode. Important to note! Other than that, I couldn’t find an easier guide for this (or rather, there were none. XD) Thanks a lot! So yes MacPort and XCode are needed for doing all macports stuff (like sudo port install …). Well it let me install without any fuss, so yeah. XD No problem. It comes after a exec the modem.sh script… There was no problems installing openvpn. seem’s that you have to be a mac developer to download xcode? xcode application is available as optional install on Leopard Install DVD. As I said in my post you need it in order to be able to deal with MacPorts application (so you can install unix tools easily). it works else it wont. And since I had to go that way the Modem script doesn’t work either. I have doble, tripple checked the PATH, tried 6 methods of editing the bash profil, non of it gave any different results. I am running on the snow leopard, maybe thats an issue? Have no idea how neither, I think there is a way with either apple script or xcode but haven’t tried though. from terminal and it should give you correct path (along with android-sdk path in it). If it doesn’t work for you with .bash_profile than you can always run export cmd directly in terminal before running modem.sh script. One question, do I have to Write the “/Users/frik/modem.sh” in Terminal every time i want to go on net via the Hero? Or is it any way much easier with a executable script on my desktop.? It’s enough to run it like ./modem.sh in terminal since by default terminal open in home dir (/Users/frik). I came to mac from Linux world so terminal is 2nd nature to me, but if I come with way to make modem.sh run from gui I will let you know :) Probably with apple script or xcode tools (look at my answer to fabio). Thankyou. I was a bit worried when I bought the Hero that I wouldn’t be able to do this. Works like a charm! I have iphone 8GB first gineration. I have been trying to tether it to my MacBook so I can use my laptop when Im on vacation. Friend told he about the HTC Hero and said it would be a good way to to this. I use AT&T so my question is this would it be wise to buy the Hero and drop the iphone? I dont have lepord and im not very computer savy so is this something a Noob can do? @Rhonda Since you said that you use Macbook and don’t have Leopard I will assume that you still use old os x (Tiger or even some older). I haven’t really tried my tutorial with Tiger because I don’t know anyone still using it. Thanks for all and any help you can give me. Are you really sure that you don’t have leopard already installed on your computer :) ? I bought my Mac in september 2008 and Leopard was already there. Hi! First of all thanks for the great post! I tried and did everything fine except except it gives me an error “device not found” after ” modem.sh” – it seems like my mac cannot see the phone – any suggestion? from dir other than android tools dir? you have made my day! i screamed and shouted at my macbook/hero for 2 hours but in the end it was all worth it. It working!! one final question. The next time i want to tether my macbook all I have to do is type the users/me/modem.sh comand in terminal en enjoy browsing the internet? Yes :) Basically after you’re done with this tutorial, next time all you have to do is to connect your phone, make sure that azilink is running and ‘active’ is ticked, mobile connection is turned on, then you run modem.sh script and in few sec your Internet connection is up and running. I nearly managed to tether my Mac to my HTC Hero. Only the very last step failed. My Mac (with Snow Leopard) returns this error message: “sudo: openvpn2: command not found”. Thank in advance for a wonderful job! I’m sure you know how to get me over this last hurdle. Where can I have done something wrong? And what could it be??? I tried again this afternoon after a reboot of both the Hero and the Mac. And it runs!!! I get speeds of over 250KByte and aroiund 75KByte for uplod. This is enough for the (emergency) cases I need the tethering app. You either didn’t connect your usb cable or Azilink is not set to active. Can’t think of anything else. If you can’t see your device with adb devices, go to Settings > Applications > Development and activate USB Debugging. Got my 06 Macbook to connect after enabling that. Got my Hero tethered to my Mac.. got it working at 450kbytes dl and 120kbytes ul.. will try to find a better base station and test again.. Massive thanks for this tutorial… worked a treat… all in all about 90mins work but well worth it. At last I’ve gone through your tutorial and everything worked fine. Except I didn’t restart my mac after TunTap instalation. Thanks! Maybe I’ll try to make some install script and icon to simplify the process. Tue Jan 12 02:35:15 2010 openvpn_execve: external program may not be called unless ‘–script-security 2’ or higher is enabled. Use ‘–script-security 3 system’ for backward compatibility with 2.1_rc8 and earlier. See –help text or man page for detailed info. if adb devices not returning any devices can also occur if you have “Mobile Internet Sharing” if that is active on the HTC (settings->wireless controls->mobile internet sharing). I am having an issue with openvpn2 not allowing external programs being called similar to @Marco. Guys, i solved two problems I had, wanted to share, now I have tethered internet. Just to say a big ‘Thank you’ for the work you have put in to this! Can you double check that you did? I am a noobie re command line mysteries. I am trainable. I have been usb tethering to a Motorazr V3m using Parallels Desktop [XP] and the Sprint connection software on my MacbookPro running 10.4.11. I wonder how difficult it will be to tether an HTC Hero with usb through Parallels. Any concerns when I go to 10.6? If I can connect through Parallels will it be easier to go to the Mac OS and connect? Tue Feb 2 15:12:55 2010 openvpn_execve: external program may not be called unless ‘–script-security 2’ or higher is enabled. Use ‘–script-security 3 system’ for backward compatibility with 2.1_rc8 and earlier. See –help text or man page for detailed info. since I don’t understand anything of that, can you tell me were the error is at. modem.sh script cannot find path to adb tool. You have to do step 2 correctly or edit modem.sh and whenever adb tool is called to insert absolute path. Wed Feb 3 09:33:24 2010 openvpn_execve: external program may not be called unless ‘–script-security 2’ or higher is enabled. Use ‘–script-security 3 system’ for backward compatibility with 2.1_rc8 and earlier. See –help text or man page for detailed info. I’m guessing openvpn2 has been updated since writing this article. As a result, you need to slightly edit modem.sh to get it to work. Wed Feb 3 09:33:24 2010 openvpn_execve: external program may not be called unless ‘–script-security 2′ or higher is enabled. Use ‘–script-security 3 system’ for backward compatibility with 2.1_rc8 and earlier. See –help text or man page for detailed info. So for me, adding –script-security 3 system \ fixed the problem. First I get this error. Fri Feb 5 23:07:53 2010 openvpn_execve: external program may not be called unless ‘–script-security 2’ or higher is enabled. Use ‘–script-security 3 system’ for backward compatibility with 2.1_rc8 and earlier. See –help text or man page for detailed info. And then when I change what oller said. I get this strange message. Good luck to all, and I hope someone will take these steps and create a nice and simple application that will automate this process someday..
Thanx to all you guys. It works!! It then has the word password with the flashing cursor next to it but it will not acknowledge any keyboard input at all except the enter key and ctrl-c keys. Help!! what goes on, I tried to paste the password in but it does not accept it. I have Xcode installed and Macports. I am still loving your solution.. one problem though. What’s the best way to quit the process. If I just quit the terminal, and try again i get all kinds of errors; i actually have to restart every time to get working.. I am sure there is a way to quit the process easily.. can you share it? Thanks a million for this post. posting this message, by tethering my hero to my mac, airport turned off. Thanks to @Dinkie @John and everyone else. Hey thanks for this. It works fine but now that PdaNet is available it is much easier to use that. If I want to undo all of your steps apart from removing the downloaded apps. do I need to undo the pico .bash_profile step and openVPN install step? I’ve already removed the android tools, followed the uninstall steps for MacPorts and deleted the modem file. What else needs to be done or does none of the rest matter? @John Yeah, basically just remove installed application, and you can also edit file .bash_profile and restore your previous settings for PATH variable, but really not needed because it won’t do any harm to your computer. Ok, I’m standing on my chair applauding. VERY nice!! Thanks for the terrific help! On Snow Leopard I am not able to get Openvpn2 to build. Thank you so much for this total walk trough. Works like a charm! You can also download PDANet for your android phone and your MAC and it will work immediately. No root menu stuff. No messing around for hours. It just works. Good stuff here – got everything working until I tried to run the modem script. Below is what I got – can u help me out. I did everything else to the letter and my phone is already rooted. Messed around with it a little more and got it to work. Thanks for this. Posting this while tethered to my HERO!!! only problem I have now is when I want to go back to using my Airport to connect to my WiFI network…it doesn’t work until I reboot. Any thoughts? @Russ: Please share the solution you found! I’m having the exact same problem! Sat Jun 12 15:06:36 2010 openvpn_execve: external program may not be called unless ‘–script-security 2’ or higher is enabled. Use ‘–script-security 3 system’ for backward compatibility with 2.1_rc8 and earlier. See –help text or man page for detailed info. any help regarding script security 3..? Sat Jun 12 15:33:20 2010 IMPORTANT: OpenVPN’s default port number is now 1194, based on an official port number assignment by IANA. OpenVPN 2.0-beta16 and earlier used 5000 as the default port. Sat Jun 12 15:35:18 2010 IMPORTANT: OpenVPN’s default port number is now 1194, based on an official port number assignment by IANA. OpenVPN 2.0-beta16 and earlier used 5000 as the default port. When I connect my HTC hero phone via USB to my macbook pro I am getting the PDAnet icon with the flashing blue world on the bottom right corner…..does any know what this means? this is how my script reads – and it works. I just upgraded my HERO to Android 2.1, installed the AziLink app and now I get “connection refused” when I run my script. Anyone out there know why? Thanks. After restarting, it just prints these same messages over and over. Anybody have a workaround for this? Never mind – I figured it out. Forgot to go back in and enable USB debugging. Forgive my ignorance but is this all still necessary now that Android 2.1 has an “Internet sharing option”? I know I can’t get it to work out of the box (HTC Legend and Mac Leopard) but this all seems really, really complex. Is there any easier way? I know I can get PDAnet but understand this restricts the sites you can visit unless you buy the paid-for version which I am loathe to do if it should work for free. Internet Sharing option only worked with Windows, not with a Mac. Btw this procedure works on Andorid 2.1 on HTC Hero after official HTC Eclair update. I have the whole thing running but I do get this warning “WARNING: potential route subnet conflict…”. But when I use a browser I can’t reach any websites. I tried googling that warning message but couldn’t make any sense of what I read. I have the same problem as Pete. modem.sh starts and runs just fine. I can connect to Skype, iChat, other things of through whichever port chat interfaces use, but no web browsing (Chrome, FireFox or Safari) and I cannot connect to externals via ssh or ftp. I had turned off Airport, but turning it on made everything work! You’re lucky Cher – it doesn’t work for me. I tried leaving wifi on but connecting to a dud wifi address which gives me no internet access. Weirdly Skype does work just like you said. Azilink counters clock up traffic with Skype. But no browsers work. Something to do with DNS? Any ideas? When I look at network preferences what should I see – I see a “Parallels Shared Networking Adapter” and a “Parallels Host-Only Networking Adapter”. Is that right? Why go through all that work when all you need to install is aNetShare? Because aNetShare simply doesn’t work for me. I root-ed my Hero and tried both wifi tether as well as anetshare, none of them seems to work with my MBP. Airport see it on wifi list, but when I try to connect it it doesn’t work. That’s why I use USB method explained above. I’m a HTC Tattoo user. While following your instruction to prepare my phone, I run into a problem. After installing openVPN, I was asked to install TunnelBlick which I did too. However, from there on, I do not know how to download the client.ovpn file. Could you kindly explain explicitly how to do this steps? This is the error I am getting. However, when I type “sudo scutil” in terminal alone, I am getting it work. I even tried using the full file path. Please help, I am braindead right now. I was too. Who can tell me how to deal with this problem? What’s the suggested phone settings on htc hero for optimum performance when streaming video threw easy tether pro? 1. Android SDK, as of r16, does not include adb by default. You have to run android-sdk/tools/android, and install the Platform Tools. adb will be put to android-sdk/platform-tools/adb (you should add this directory to PATH). 2. USB debugging should be turned on on the phone. 3. –script-security 2 should be added to the openvpn2 call in modem.sh, and the path to scutil should be specified (see http://pastie.org/3791898 for the fixed version). 4. You might want to disable Skype, Evernote and other bandwidth-consuming apps if your data plan / bandwidth are tiny.